Local Care Services is a family run business, founded in 1998 to provide high quality care by offering choice and reliability with services tailored to our clients individual needs and their changing circumstances. 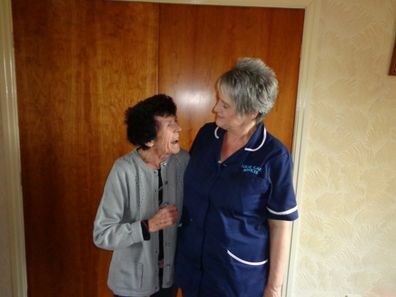 We provide care and support to clients in their own home. The aim of the service is to help our clients maximize their quality of life and to continue to live at home as safely and independently as possible. Our core values are compassion, dignity, equality and human rights, fulfillment, honesty, independence, involvement, respect and safety. All Care Staff are trained and qualified to deliver the highest standards of care. A continuous staff-training programme is implemented to ensure that these high standards are maintained in line with the latest care practices and requirements of legislation and the Care Quality Commission. Local Care Services enjoyed the top inspection rating from the Care Quality Commission for over 5 years. The most recent CQC inspection is detailed on the next page . If you would like to find out more about our services please ring 01274 882456 or email enquiries@localcareservicesltd.co.uk. Your feedback is very important. We ask all clients and a selection of relatives to complete a Satisfaction Questionnaire at least once a year.